Language doesn't need to be a barrier to growth. GoSquared Live Chat now automatically translates over 100 languages. Try it free. Install in seconds. Already a customer? Sign in. Open your doors to billions more consumers around the world. Engage with visitors you'd never have spoken to before. Build rapport with visitors to convert them to leads. Everyone's happier when the world is speaking their language. 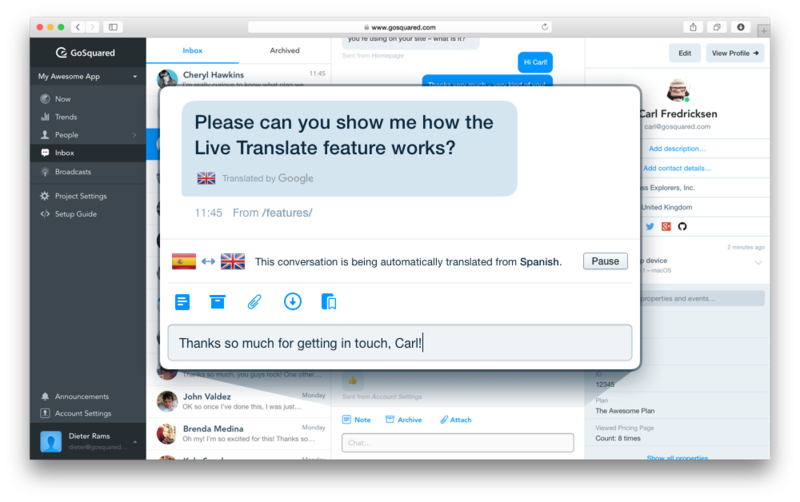 Save countless hours from manually translating messages. Only 6% of the world’s population speak English as their first language. Don’t shut yourself off from over 90% of the world. Speak the language your customers want to speak – without learning a thing. GoSquared Live Chat automatically translates messages from your website visitors, leads, and customers so your team can respond confidently in an instant. 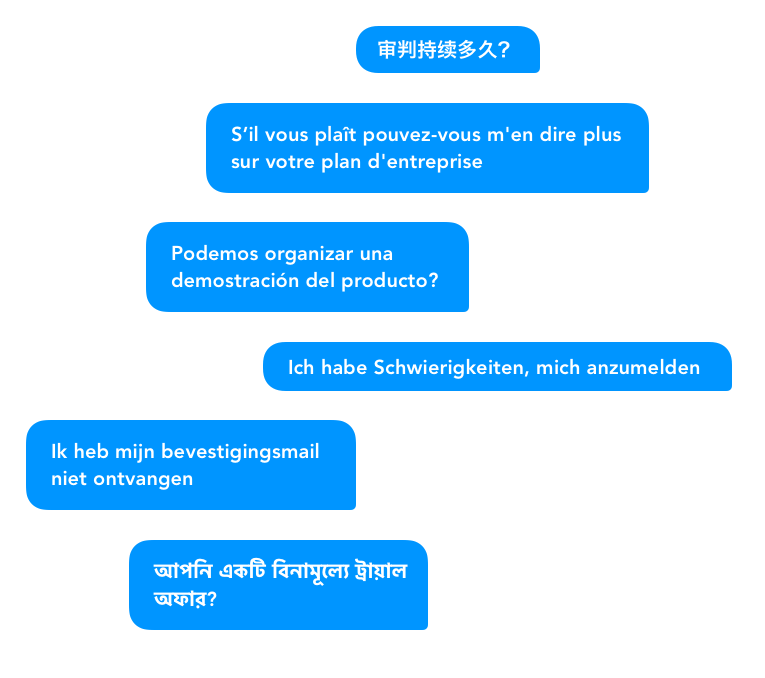 Automatically translate any language instantly. Chat fluently with leads and customers anywhere in the world with Live Translate in GoSquared Inbox. Thousands of amazing companies trust GoSquared for their growth. Live Translate is a feature of the GoSquared platform. Use GoSquared Live Chat, Customer Data Hub, and Analytics to grow your business. Customer satisfaction. We go further for our customers. We’ve been in business for 12 years and counting. People who use GoSquared every day to grow their business. Platform uptime. We obsess over stability and reliability. Open your business to a world of opportunity. Live Translate is available on GoSquared Enterprise. View Pricing, or apply for our early stage plan.